Politico.com media columnist Dylan Byers has taken issue with New York Daily News TV writer Don Kaplan, who on Sunday headlined his column “Political commentator Sean Hannity was one of the big losers in the 2012 election.” Kaplan had written that Hannity’s ratings had “cratered” following the election as he lost around half his audience, while colleague Bill O’Reilly’s audience had dropped by nearly a third. He attributed the loss to viewer disillusionment over Hannity’s repeated forecasts — and those of his guests — that Mitt Romney would defeat Barack Obama by a landslide margin. 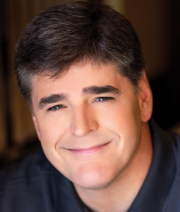 Byers, on the other hand, while noting that Hannity’s viewers declined to 1.95 million viewers after the election from 3.6 million during the week prior to the election, noted that the conservative talk show host merely returned to the numbers he had been attracting before the Republican National Convention. Same goes for Bill O’Reilly, who went from 4.14 million viewers the week before the election to 3.05 million after the election, Byers observed. Both Kaplan and Byers do agree, however, that MSNBC and CNN have been more successful at retaining their audiences following the election, especially among the 25-54 age group.